Environoise consultants are proficient in the use of noise modelling software. We create noise models and sound maps for environmental noise, building acoustics, factory noise and sound insulation prediction. Our consultants offer this service as a stand-alone but more frequently we include acoustic models as part of our comprehensive reports. We use Soundplan, CATT, Softnoise and Insul to complete our service. We predict the outdoor propagation of noise including façade incident noise levels such as from road traffic or industrial plant using Soundplan. The software is also useful to evaluate the attenuation provided by screening. The model takes into account the amplitude and frequency content of the noise and calculates the resulting noise. It accounts for how noise is attenuated by topography, existing buildings and proposed new buildings. We can ‘Value Engineer’ a proposed new building by accurately determining the shielding effect offered by the building. This means that the façade attenuation performance can be tailored to meet the predicted external noise level. 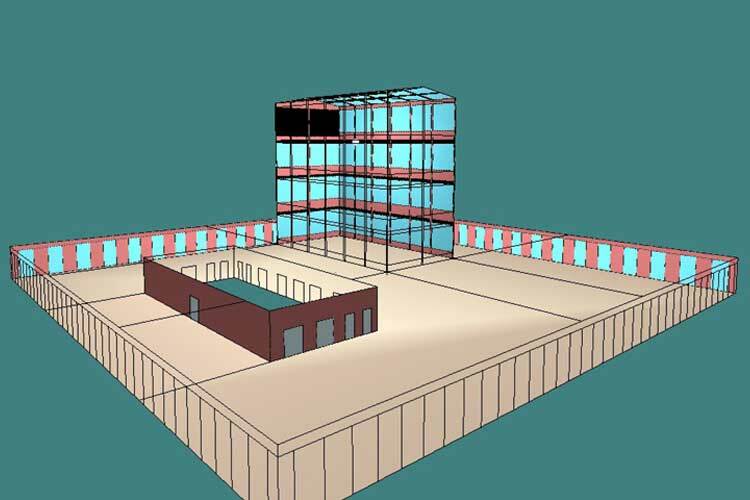 CATT acoustic modelling software is enables us to predict how sound will propagate within a building. It takes into account the directivity of loudspeakers and other sources, the shape of the building and the acoustic absorption of the different surfaces which the sound encounters. Environoise consultants are experienced at using this powerful software. We find it useful when deciding exactly where absorptive material is needed to enhance the acoustic environment. Our consultants use it for acoustics in lecture theatres, offices, classrooms and music venues. When considering the build up of complex composite partitions, it can be difficult to determine by calculation what the overall sound reduction properties of the composite might be. 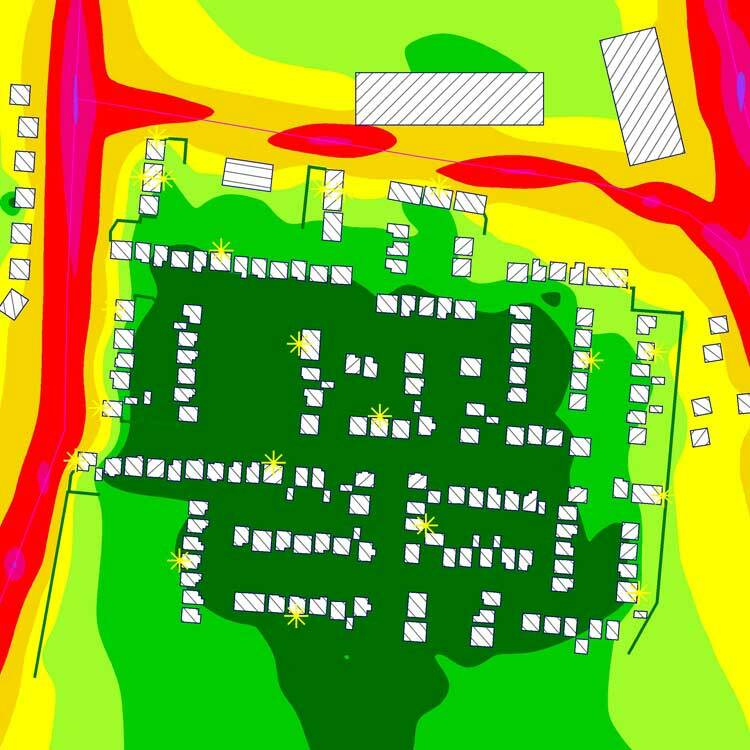 Environoise employs ‘Insul’ software which combines a database of measured sound transmission results and uses calculation techniques to provide an accurate prediction of sound insulation performance. 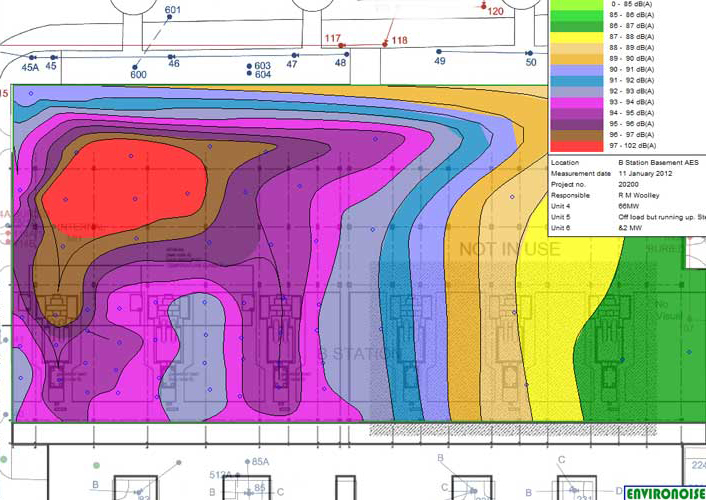 Softnoise is software used for providing colour contour noise maps of internal spaces based on measured noise levels making it ideal for industrial premises. The software allows ‘at a glance’ picture of noise levels across a space. We use it to delineate hearing protection zones. The resulting noise map and adds a powerful visual image to our Control of Noise at Work Risk Assessments reports.